Mr. PAUL. Mr. Speaker, the Matagorda County 4-H will hold an awards program on the 20th of August and this is a very important event Mr. Speaker. Mr. Speaker I have, in the past, pointed out how important an organization 4-H truly is for those of us who were raised on farms and who represent agricultural communities. As I have said in the past Mr. Speaker, one of the primary missions that this organization undertakes is agricultural education. I believe that this mission is so critical that, earlier this year, I introduced a bill which would exempt the sale of livestock by those involved in educational activities such as FFA and 4-H from federal income taxation. By making young men and women who participate in these activities hire a group of tax accountants and attorney we are sending the wrong message. Young people who sell livestock at county fairs and the like should be rewarded for taking self initiative and allowed to keep the money theyve earned to help pay for their education or to re-invest in other animals to raise. My bill would eliminate the current policy of forcing these youngsters to visit the tax man. Mr. Speaker, I want to commend the following winners of the Gold Star, the highest award possible at the county level, for achievements in competition at state levels, leadership ability, community service and years of service. They are: Kim Evans, Courtney Wallis and Lindsey Kubecka. Again, I want to commend these young people for their achievements. This statement, inserted as an extension of remarks in the Congressional Record, is similar to the corresponding statement for the Brazoria County 4-H in 1998 Ron Paul Chapter 94. 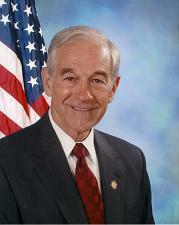 1998 Ron Paul 95:1 very important event Mr. Speaker probably should have a comma: very important event, Mr. Speaker. 1998 Ron Paul 95:1 As I have said in the past Mr. Speaker probably should have a comma: As I have said in the past, Mr. Speaker. 1998 Ron Paul 95:1 attorney probably should be plural: attorneys, as in 1998 Ron Paul 94:2. 1998 Ron Paul 95:1 self initiative probably should be hyphenated: self-initiative.